IBJ is proud to be at the forefront of implementation efforts for UN Sustainable Development Goal 16. 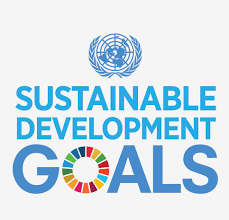 In 2015, the United Nations hosted the UN Sustainable Development Summit for the adoption of the Post-2015 Development Agenda, which introduces 17 Sustainable Development Goals (SDGs). While SDG 16 is one of 17 goals, it represents a large part of the lessons learned from the successes of SDG’s predecessor, the Millennium Development Goals (MDGs). With rule of law as the foundation of sustainable development, SDG 16 describes objectives that are fundamental to the success of all of the other goals. Rule of law is fundamental to sustainable development and is one of the most efficient and effective strategies to increase institutional capacity, ensure good governance and combat corruption. The international development community is increasingly aware of the interconnectedness of many development goals, and recognise that rule of law is the anchor, with other development goals depending upon its existence in order achieve results. The evidence can be seen in the distribution of impact for the MDGs, specifically those that resolved to improve health conditions, food security and to halve poverty. They were most effective in countries where good governance and Rule of Law is already established. While global statistics reflected improvements, those countries with the greatest need for development were left behind. With this in mind, SDG 16 and its focus on Rule of Law facilitates the success of all other goals, particularly in the areas of the world that need the most attention. Because of the interconnected nature of development, in order for sustainable health, security, and equality, or sustainable environmental policies to be established, a country benefits greatly from a solid foundation of Rule of Law. In practical terms this means that to maximise the efficiency of impact, SDG 16 must be developed in parallel with the other goals to reach their full potential. IBJ’s many years of experience have demonstrated that criminal justice systems are a hugely important element to Rule of Law and achieving goals under SDG 16. This is recognised within SDG 16 through the importance placed on Access to Justice. Competent, well-trained pro-bono rights defenders are at the front-line for implementing Access to Justice under SDG 16, and creating a wider positive impact on the implementation all SDGs. We estimate over 25 million people have been impacted by IBJ’s work, with 22,000 lawyers trained worldwide and over 30,000 ordinary people having directly benefited from legal counsel. We operate country programs in Zimbabwe, Burundi, Rwanda, India, Democratic Republic of the Congo, China, and Cambodia, and have 59 JusticeMakers fellows in 38 countries, spread across six continents. Our regional hub in Singapore coordinates our projects in South-East Asia. A landmark event in IBJ’s mission to implement access to justice was the launch of the Declaration on Access to Justice to Prevent Torture in January 2017. Marking an important step in mobilizing the international community in a global commitment to end torture and advance access to justice, the Declaration has been signed by government, civil society, faith and business leaders, including President Tsakhiagiin Elbegdorj of Mongolia, CEO Sally Osberg of the Skoll Foundation, Secretary General Salil Shetty of Amnesty International, CEO Patrick Dlamini of the Development Bank of Southern Africa, and Director-General Michael Møller of the United Nations Office at Geneva. The full list of founding signatories, together with the possibility of signing the Declaration on Access to Justice to Prevent Torture online, can be found here. All around the globe, IBJ has been working to create impact through Access to Justice. Our program in Cambodia, in particular, has led to a precipitous drop in rates of investigative torture, in certain provinces dropping from a systemic abuse present in almost all cases, to less than 5% of cases now. In 2006 IBJ first arrived in Burundi and the measured the number of prisoners that were held in pre-trial detention was 67%. IBJ have measured that in the areas that their lawyers work, pre-trial detention rate has dropped below 50% by 2014. Overall our work has contributed significantly to a 25% reduction in pre-trial detainees in Burundi. In Rwanda, pre-trial detention rates have dropped from 30% in 2006 to 15% in 2014, representing an even larger 50% decrease during IBJ’s work there. In parallel with it’s programs, IBJ’s impact has gone further to develop strategic partnerships and relationships with governments and international development multi-laterals. In 2001, IBJ signed a memorandum of understanding (MoU) with Ministry of Justice in China. In 2008, IBJ signed an MoU with the Prosecutor General of Rwanda. IBJ also signed MoUs with the Ministry of Foreign Affairs of the Kingdom of Cambodia in 2009 and with the Ministry of Justice in 2012. In 2014 IBJ signed an MoU with the Ministry of Justice in Burundi, and in 2016 IBJ signed an MoU with the Ministry of Justice in the DRC. IBJ has also signed an MOU with the African, Caribbean and Pacific Group of States (ACP) in February 2016, for the advancement and concrete implementation of the UN SDG 16 throughout the 79 ACP Countries and Regions, with a view to promoting and supporting member countries institutional development in the Rule of Law and Good Governance. We seek to establish and support global networks of defense lawyers, bar associations, ministries of justice and private sector actors to connect together as an ecosystem via an online Justice Technology Hub collectively coordinating the systematic implementation of UN SDG 16. This Hub would provide access to justice to the poorest of the poor and institutionalising legal defense standards worldwide. This cross-boarder collaboration network creates a powerful and dynamic platform for the exchange of knowledge and justice practices, truly globalising solutions for upholding existing legal protections and ensuring that rule of law is respected worldwide.